Warren Buffett drives a Cadillac XTS, which is a fairly modest choice considering his massive wealth. However, Buffett knows that selling cars is good business, even in the age of internet shopping, and he plans creating an auto dealership empire of his own. 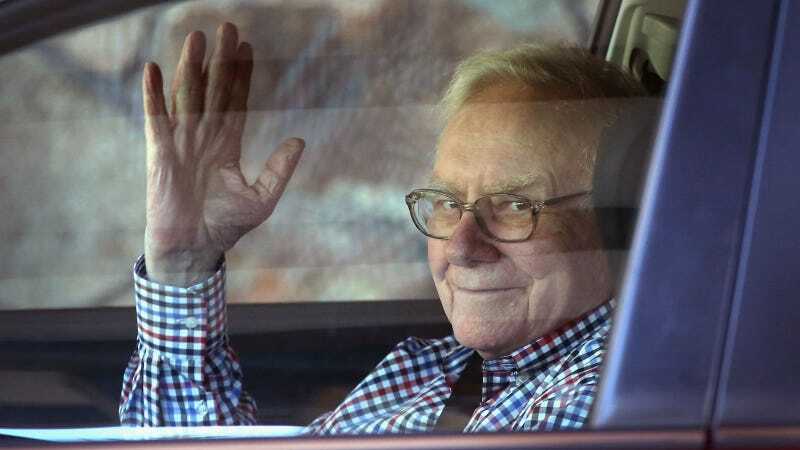 On Thursday, Buffett announced on CNBC's "Squawk Box" that Berkshire Hathaway will acquire the Van Tuyl Group, the largest privately owned auto group in the U.S. Van Tuyls brings in about $9 billion in sales. Who are the billionaire car kings? Cecil Van Tuyl opened his first new car dealership in Kansas City 60 years ago and expanded to store locations across the country. Cecil passed away in 2012 at age 85 and left the company to his son Larry, who contacted Buffett about a potential sale. Buffett agreed purchase it for an undisclosed amount. Now the billionaire is aiming to use the Van Tuyl acquisition as a starting point to purchase even more dealers. There are over 17,000 dealerships in the US, many of which are family owned. Some of these stores are on their 3rd or 4th generation owners, Buffett is banking that many of these families will sell their dealers for cash. "We will hear, I predict, from hundreds of dealerships in the next year...I fully expect we'll buy a lot more dealerships over time."